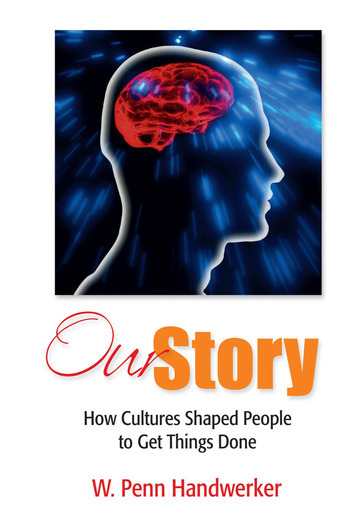 The story of human evolution, or Our Story, is about the development and refinement of cultures. Individuals cannot do things on their own, this book argues; their choices are driven by heuristics, biases, illogical preferences, and irrational assumptions about the nature of reality. So how did humanity survive? By forming more and more successful cultures, which are teams of people who share a specific vision of the world. Because cultures-as-teams are more effective if there is a strong correspondence among the members, they select individuals who clarify the team’s vision and force compliance to that vision. Thus, cultures-as-teams are powerful agents for change in the world. They offer the individual the opportunity to accomplish unimaginable goals, but they can also destroy him or her in the process.